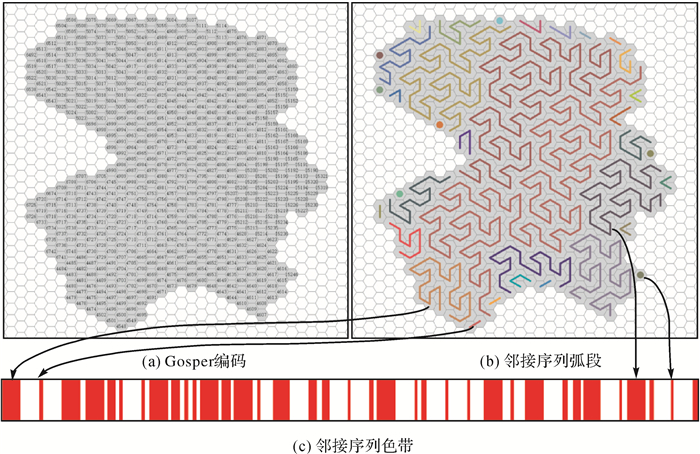 Abstract: By introducing the Gosper curve into hexagonal grid, a new form of run length coding is established.Based on this, the lossless compression coding and loss compression coding of raster data are carried out. 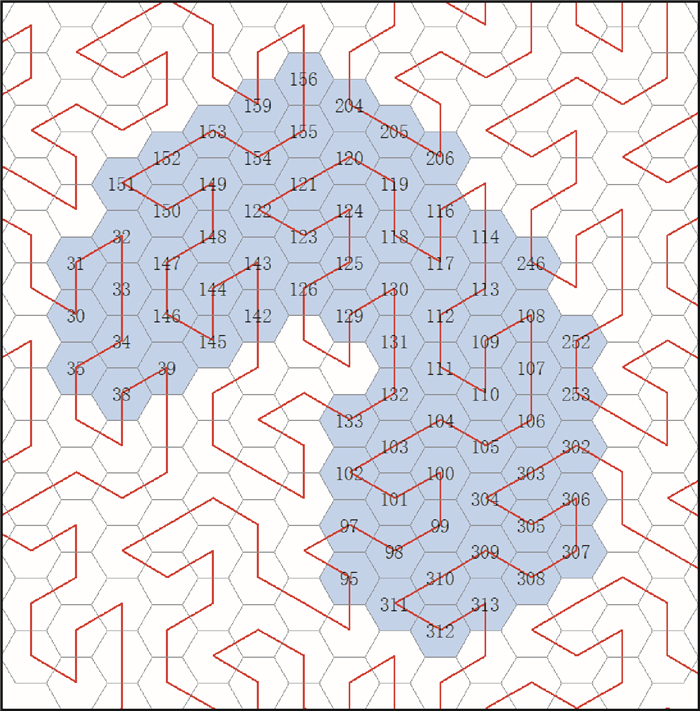 First, the bidirectional correspondence between Gosper curve and hexagonal raster data is established to provide guidance and support for data coding. 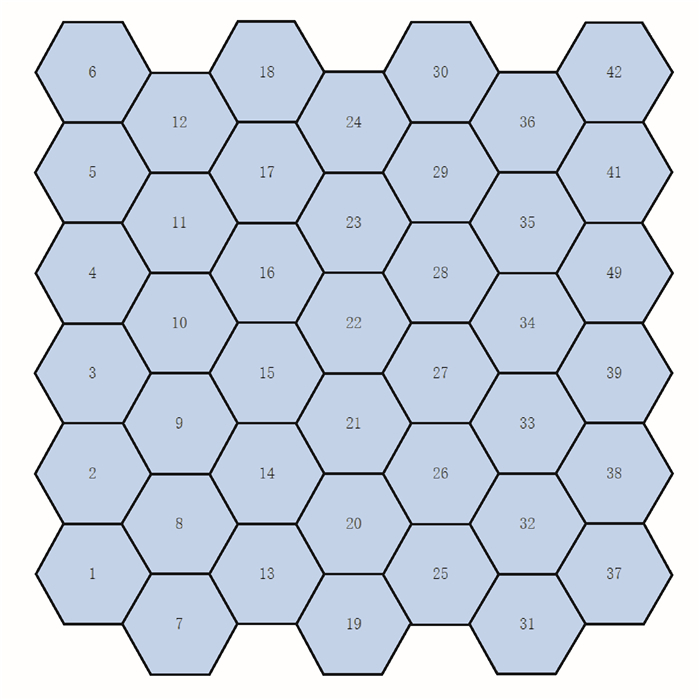 Then, the Gosper coding value of each raster cell is determined. The lossless compression is realized by making run length coding for the coding set of target region. On this basis, loss compression utilizes the good spatial aggregation of Gosper curve to fuse adjacent regions and eliminate details. Under certain threshold constraints and following the direction of Gosper curve, the number of coding objects can be reduced by changing the ownership of partial raster units.The data is recoded through run length coding to simply the coding of target region. At last, the validity of this method is verified by experiment. 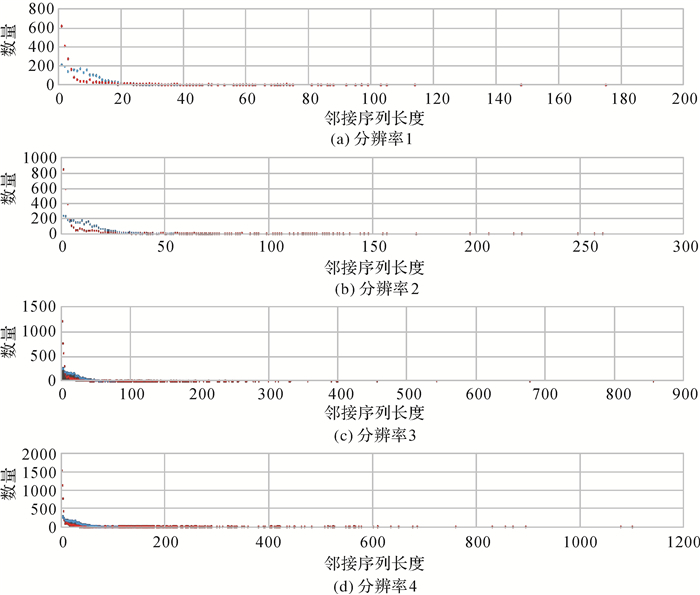 Based on the realization of compression coding methods, data compression of multi-resolution and different fusion thresholds is explored.In addition, it is compared with other methodes to highlight its advantages. 邬伦, 刘瑜. 地理信息系统:原理、方法和应用[M]. 北京: 科学出版社, 2001. WU Lun, LIU Yu. Geographic information system:theories, methods and applications[M]. Beijing: Science Press, 2001. 张宏, 温永宁, 刘爱利, 等. 地理信息系统算法基础[M]. 北京: 科学出版社, 2006. ZHANG Hong, WEN Yongning, LIU Aili, et al. Foundation of geographic information system algorithm[M]. Beijing: Science Press, 2006. 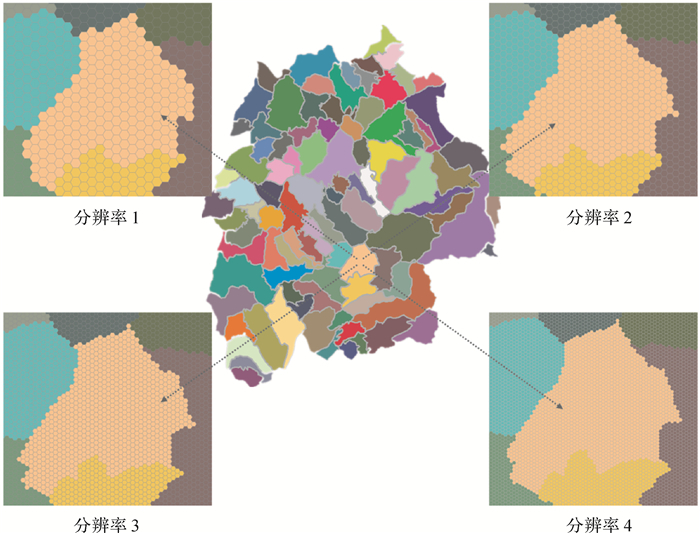 HOFMANN P, TIEDE D. Image segmentation based on hexagonal sampling grids[J]. South-Eastern European Journal of Earth Observation and Geomatics, 2014, 3: 173–177. SCOTT D W. A note on choice of bivariate histogram bin shape[J]. Journal of Official Statistics, 1988, 4(1): 47–51. CARR D B. Looking at large data sets using binned data plots[R]. Richland, WA (USA): Pacific Northwest Laboratory, 1990. CARR D B, LITTLEFIELD R J, NICHOLSON W L, et al. Scatterplot matrix techniques for large N[J]. Journal of the American Statistical Association, 1987, 82(398): 424–436. 童晓冲, 贲进, 张永生. 全球多分辨率六边形网格剖分及地址编码规则[J]. 测绘学报, 2007, 36(4): 428–435. BEN Jin. A study of the theory and algorithms of discrete global grid data model for geospatial information management[D]. Zhengzhou: Information Engineering University, 2005. 赵学胜, 贲进, 孙文彬, 等. 地球剖分格网研究进展综述[J]. 测绘学报, 2016, 45(S1): 1–14. SUESS M, MATOS P, GUTIERREZ A, et al. Processing of SMOS level 1C data onto a discrete global grid[C]//Proceedings of 2004 IEEE International Geoscience and Remote Sensing Symposium. Anchorage, AK, USA: IEEE, 2004, 3: 1914-1917. DHARMAWAN R D, SUHARYADI, FARDA N M. Geovisualization using hexagonal tessellation for spatiotemporal earthquake data analysis in indonesia[C]//Proceedings of International Conference on Soft Computing in Data Science. Singapore: Springer, 2017: 177-187. POLISCIUC E, MAÇÃS C, ASSUNÇÃO F, et al. 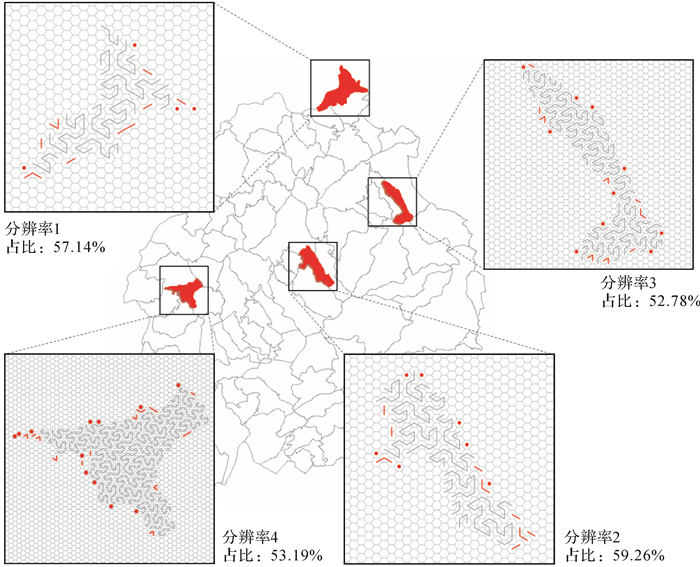 Hexagonal gridded maps and information layers: a novel approach for the exploration and analysis of retail data[C]//Proceedings of SIGGRAPH ASIA 2016 Symposium on Visualization. Macau, China: ACM, 2016: Article No. 6. 白建军. 基于正八面体的四孔六边形球面格网编码及索引[J]. 遥感学报, 2011, 15(6): 1125–1137. BAI Jianjun. 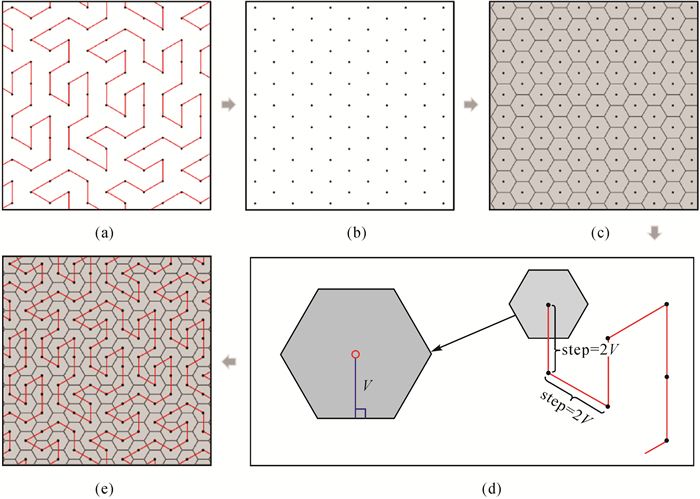 Location coding and indexing aperture 4 hexagonal discrete global grid based on octahedron[J]. Journal of Remote Sensing, 2011, 15(6): 1125–1137. 王蕊, 贲进, 杜灵瑀, 等. 平面四孔六边形格网系统编码运算[J]. 测绘学报, 2018, 47(7): 1018–1025. 信睿, 艾廷华, 何亚坤. Gosper地图的非空间层次数据隐喻表达与分析[J]. 测绘学报, 2017, 46(12): 2006–2015. 吴华意, 龚健雅, 李德仁. 无边界游程编码及其矢栅直接相互转换算法[J]. 测绘学报, 1998, 27(1): 63–68. 王结臣, 芮一康, 刘杰. GIS中面的游程编码表达、实现与应用[J]. 测绘科学, 2008, 33(4): 26–28. 王家耀. 时空大数据时代的地图学[J]. 测绘学报, 2017, 46(10): 1226–1237.